The Cathedral of Quito, constructed between 1562 and 1567, is regarded as the oldest cathedral in South America. The Catholic Church in Latin America began with the Spanish colonization of the Americas and continues through the independence movements of the Spanish-American colonies up to the present-day. In the 19th and 20th centuries, many liberal regimes struggled to control and reduce the power and influence of the Catholic Church through the promulgation of anti-clerical laws. In some countries, anti-clerical violence resulted in the destruction of church property and the killing of priests and other religious leaders. In the later part of the 20th century, however, the rise of Liberation theology has challenged such close alliances between church and state, with support for social, political and economic change coming from grassroots Christian communities, members of religious institutes and radical priests. Some liberal Jesuits have had a significant influence in the development of liberation theology. However, the movement, which has been highly controversial in the Catholic theological community, has been condemned by Pope John Paul II and Pope Benedict XVI. The Age of Discovery began with the voyage of Christopher Columbus c. 1492. It is characterised by European colonisation of missionary activity. Pope Alexander VI, in the papal bull Inter caetera, awarded colonial rights over most of the newly discovered lands to Spain and Portugal. The expansion of the Catholic Portuguese Empire and Spanish Empire with a significant roled played by the Roman Catholic Church led to the Christianization of the indigenous populations of the Americas such as the Aztecs and Incas. 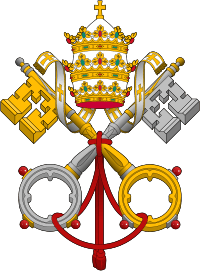 Under the patronato system, state authorities controlled clerical appointments and no direct contact was allowed with the Vatican. During the Age of Discovery, the Roman Catholic Church established a number of Missions in the Americas and other colonies in order to spread Christianity in the New World and to convert the indigenous peoples. Spreading Christianity to the newly discovered continent was a top priority, but only one piece of the Spanish colonization system. The influence of the Franciscans, considering that missionaries are sometimes seen as tools of imperialism, enabled other objectives to be reached, such as the extension of Spanish language, culture and political control to the New World. A goal was to change the agricultural or nomadic Indian into a model of the Spanish people and society. Basically, the aim was for urbanization. The missions achieved this by “offering gifts and persuasion…and safety from enemies.” This protection was also security for the Spanish military operation, since there would be theoretically less warring if the natives were pacified, thus working with another piece of the system. The 1510 Requerimiento, in relation to the Spanish invasion of South America, demanded that the local populations accept Spanish rule, and allow preaching to them by Catholic missionaries, on pain of war, slavery or death, although it did not demand conversion. Slavery was part of the local population's culture before the arrival of the conquistadors. Christian missionaries provided existing slaves with an opportunity to escape their situation by seeking out the protection of the missions. Nevertheless, Amerindian populations suffered serious decline due to new diseases, inadvertently introduced through contact with Europeans, which created a labor vacuum in the New World. In 1522, the first Franciscan missionaries arrived in Mexico, establishing schools, model farms and hospitals. When some Europeans questioned whether the Indians were truly human and worthy of baptism, Pope Paul III in the 1537 bull Sublimis Deus confirmed that "their souls were as immortal as those of Europeans" and they should neither be robbed nor turned into slaves. Over the next 150 years, missions expanded into southwestern North America. Native people were often legally defined as children, and priests took on a paternalistic role, sometimes enforced with corporal punishment. Junípero Serra, the Franciscan priest in charge of this effort, founded a series of missions which became important economic, political, and religious institutions. These missions brought grain, cattle and a new way of living to the Indian tribes of California. Overland routes were established from New Mexico that resulted in the colonization of San Francisco in 1776 and Los Angeles in 1781. However, by bringing Western civilization to the area, these missions and the Spanish government have been held responsible for wiping out nearly a third of the native population, primarily through disease. 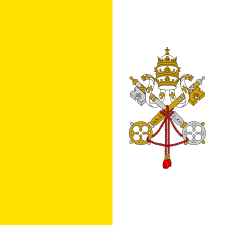 Only in the 19th century, after the breakdown of most Spanish and Portuguese colonies, was the Vatican able to take charge of Catholic missionary activities through its Propaganda Fide organization. In a challenge to Spanish and Portuguese policy, Pope Gregory XVI, began to appoint his own candidates as bishops in the colonies, condemned slavery and the slave trade in the 1839 papal bull In supremo apostolatus, and approved the ordination of native clergy in the face of government racism. Yet in spite of these advances, the Amerindian population continued to suffer decline from exposure to European diseases. Jesuit missions in Latin America were very controversial in Europe, especially in Spain and Portugal where they were seen as interfering with the proper colonial enterprises of the royal governments. The Jesuits were often the only force standing between the Native Americans and slavery. Together throughout South America but especially in present-day Brazil and Paraguay they formed Christian Native American city-states, called "reductions" (Spanish Reducciones, Portuguese Reduções). These were societies set up according to an idealized theocratic model. It is partly because the Jesuits, such as Antonio Ruiz de Montoya, protected the natives (whom certain Spanish and Portuguese colonizers wanted to enslave) that the Society of Jesus was suppressed. The Jesuit Reductions were a particular version of the general Catholic strategy used in the 17th and 18th centuries of building reductions (reducciones de indios), in order to Christianize the indigenous populations of the Americas more efficiently. The reductions were created by the Catholic order of the Jesuits in South America, in areas inhabited by the Tupi-Guarani peoples, which generally corresponds to modern day Paraguay. Later reductions were extended into the areas that correspond to Argentina, Brazil, Bolivia and Uruguay. In these regions the Jesuit reductions were different from the reductions in other regions, because the Indians were expected to adopt Christianity but not European culture. Under the Jesuit leadership of the Indians through native "puppet" caciques, the reductions achieved a high degree of autonomy within the Spanish and Portuguese colonial empires. With the use of Indian labour, the reductions became economically successful. When their existence was threatened by the incursions of Bandeirante slave traders, Indian militia were created that fought effectively against the colonists. The resistance by the Jesuit reductions to slave raids, as well as their high degree of autonomy and economic success, have been cited as contributing factors to the expulsion of the Jesuits from the Americas in 1767. The Jesuit reductions present a controversial chapter of the evangelisational history of the Americas, and are variously described as jungle utopias or as theocratic regimes of terror. 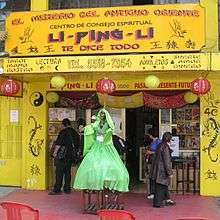 A life sized figure of Santa Muerte stands outside a fortune teller's storefront in Mexico City's Chinatown. The conquest was immediately accompanied by evangelization, and new, local forms of Catholicism appeared. The Virgin of Guadalupe is one of Mexico's oldest religious image, and is said to have appeared to Juan Diego Cuauhtlatoatzin in 1531. News of the 1534 apparition on Tepayac Hill spread quickly through Mexico; and in the seven years that followed, 1532 through 1538, the Indian people accepted the Spaniards and 8 million people were converted to the Catholic faith. Thereafter, the Aztecs no longer practiced human sacrifice or native forms of worship. In 2001 the Italian Movement of Love Saint Juan Diego was created, and launched evangelization projects in 32 states. A year later, Juan Diego was canonized by Pope John Paul II. Such Virgins appeared in most of the other evangelized countries, mixing Catholicism with the local customs. The Basilica of Our Lady of Copacabana was built in Bolivia, near the Isla del Sol where the Sun God was believed to be born, in the 16th century, to commemorate the apparition of the Virgin of Copacabana. In Cuba, the Virgin named Caridad del Cobre was allegedly seen in the beginning of the 16th century, a case consigned in the Archivo General de Indias. In Brazil, Our Lady of Aparecida was declared in 1929 official Patron Saint of the country by Pope Pius XI. In Argentina, there is Our Lady of Luján. In other cases, the appearance of the Virgin was reported by an indigenous person, for example, Virgen de los Angeles in Costa Rica. For most of the history of post-colonial Latin America, religious rights have been regularly violated, and even now, tensions and conflict in the area of religion remain. Religious human rights, in the sense of freedom to exercise and practice one's religion, are almost universally guaranteed in the laws and constitutions of Latin America today, although they are not universally observed in practice. Moreover, it has taken Latin America much longer than other parts of the West to adopt religious freedom in theory and in practice, and the habit of respect for those rights is only gradually being developed. Anti-clericalism was an integral feature of 19th-century liberalism in Latin America. 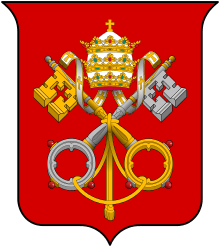 This anti-clericalism was based on the idea that the clergy (especially the prelates who ran the administrative offices of the Church) were hindering social progress in areas such as public education and economic development. The Catholic Church was one of the largest land owning groups in most of Latin America's countries. As a result, the Church tended to be rather conservative politically. Beginning in the 1820s, a succession of liberal regimes came to power in Latin America. Some members of these liberal regimes sought to imitate the Spain of the 1830s (and revolutionary France of a half-century earlier) in expropriating the wealth of the Catholic Church, and in imitating the 18th-century benevolent despots in restricting or prohibiting the religious institutes. As a result, a number of these liberal regimes expropriated Church property and tried to bring education, marriage and burial under secular authority. The confiscation of Church properties and changes in the scope of religious liberties (in general, increasing the rights of non-Catholics and non-observant Catholics, while licensing or prohibiting the institutes) generally accompanied secularist, and later, Marxist-leaning, governmental reforms. The Mexican Constitution of 1824 had required the Republic to prohibit the exercise of any religion other the Roman Catholic and Apostolic faith. The Constitution of 1857 retained most of the Roman Catholic Church's Colonial era privileges and revenues, but, unlike the earlier constitution, did not mandate that the Catholic Church be the nation's exclusive religion. Such reforms were unacceptable to the leadership of the clergy and the Conservatives. Comonfort and members of his administration were excommunicated, and a revolt was then declared. The first of the Liberal Reform Laws were passed in 1855. The Juárez Law, named after Benito Juárez, restricted clerical privileges, specifically the authority of Church courts, by subverting their authority to civil law. It was conceived of as a moderate measure, rather than abolish church courts altogether. However, the move opened latent divisions in the country. Archbishop Lázaro de la Garza in Mexico City condemned the Law as an attack on the Church itself, and clerics went into rebellion in the city of Puebla in 1855-56. Other laws attacked the privileges traditionally enjoyed by the military, which was significant since the military had been instrumental in putting and keeping Mexican governments in office since Emperor Agustín de Iturbide in the 1820s. The next Reform Law was called the lerdo law, after Miguel Lerdo de Tejada. Under this new law, the government began to confiscate Church land. This proved to be considerably more controversial than the Juárez Law. The purpose of the law was to convert lands held by corporate entities such as the Church into private property, favoring those who already lived on it. It was thought that such would encourage development and the government could raise revenue by taxing the process. Lerdo de Tejada was the Minister of Finance and required that the Church sell much of its urban and rural land at reduced prices. If the Church did not comply, the government would hold public auctions. The Law also stated that the Church could not gain possession of properties in the future. However, the Lerdo Law did not apply only to the Church. It stated that no corporate body could own land. Broadly defined, this would include ejidos, or communal land owned by Indian villages. Initially, these ejidos were exempt from the law, but eventually these Indian communities suffered and extensive loss of land. By 1857, additional anti-clerical legislation, such as the Iglesias Law (named after José María Iglesias) regulated the collection of clerical fees from the poor and prohibited clerics from charging for baptisms, marriages, or funeral services. Marriage became a civil contract, although no provision for divorce was authorized. Registry of births, marriages and deaths became a civil affair, with President Benito Juárez registering his newly-born son in Veracruz. The number of religious holidays was reduced and several holidays to commemorate national events introduced. Religious celebrations outside churches was forbidden, use of church bells restricted and clerical dress was prohibited in public. Following the revolution of 1910, the new Mexican Constitution of 1917 contained further anti-clerical provisions. Article 3 called for secular education in the schools and prohibited the Church from engaging in primary education; Article 5 outlawed monastic orders; Article 24 forbade public worship outside the confines of churches; and Article 27 placed restrictions on the right of religious organizations to hold property. Most obnoxious to Catholics was Article 130, which deprived clergy members of basic political rights. Many of these laws were resisted, leading to the Cristero Rebellion of 1927 - 1929. The suppression of the Church included the closing of many churches and the killing and forced marriage of priests. The persecution was most severe in Tabasco under the atheist governor Tomás Garrido Canabal. Between 1926 and 1929 an armed conflict in the form of a popular uprising broke out against the anti-Catholic\ anti-clerical Mexican government, set off specifically by the anti-clerical provisions of the Mexican Constitution of 1917. Discontent over the provisions had been simmering for years. The conflict is known as the Cristero War. A number of articles of the 1917 Constitution were at issue. Article 5 outlawed monastic religious orders. Article 24 forbade public worship outside of church buildings, while Article 27 restricted religious organizations' rights to own property. Finally, Article 130 took away basic civil rights of members of the clergy: priests and religious leaders were prevented from wearing their habits, were denied the right to vote, and were not permitted to comment on public affairs in the press. The Cristero War was eventually resolved diplomatically, largely with the influence of the U.S. Ambassador. The conflict claimed the lives of some 90,000: 56,882 on the federal side, 30,000 Cristeros, and numerous civilians and Cristeros who were killed in anticlerical raids after the war's end. As promised in the diplomatic resolution, the laws considered offensive to the Cristeros remained on the books, but no organized federal attempts to enforce them were put into action. Nonetheless, in several localities, persecution of Catholic priests continued based on local officials' interpretations of the law. The effects of the war on the Church were profound. Between 1926 and 1934 at least 40 priests were killed. Between 1926 and 1934, over 3,000 priests were exiled or assassinated. In an effort to prove that "God would not defend the Church", Calles ordered "hideous desecration of churches ... there were parodies of (church) services, nuns were raped and any priests captured ... were shot ...". Calles was eventually deposed and despite the persecution, the Church in Mexico continued to grow. A 2000 census reported that 88 percent of Mexicans identify as Catholic. The tension between civilian and clerical authority dominated Ecuador's history for much of the 19th and early 20th centuries. This issue was one of the bases for the lasting dispute between Conservatives, who represented primarily the interests of the Sierra and the church, and the Liberals, who represented those of the costa and anticlericalism. In 1954, Perón reversed the fortunes of the church by threatening total disestablishment and retracting critical functions, including the teaching of religious education in public schools. As a result, Argentina saw extensive destruction of churches, denunciations of clergy and confiscation of Catholic schools as Perón attempted to extend state control over national institutions. The renewed rupture in church-state relations was completed when Perón was excommunicated. However, in 1955, overthrown by a military general who was a leading member of the Catholic Nationalist movement. In 1983, the civilian president, Raúl Alfonsín, attempted to restore a liberal democratic state. Alfonsín's opposition to the church-military alliance, conjoined with his strongly secular emphasis contravening traditional Catholic positions, incited opposition that served to curtail his agenda. In the 1960s, growing social awareness and politicization in the Latin American Church gave birth to liberation theology which openly supported anti-imperialist movements. In the 1970s, the Jesuits would become a main proponent of liberation theology. The Peruvian priest, Gustavo Gutiérrez, became its primary proponent and, in 1979, the bishops' conference in Mexico officially declared the Latin American Church's "preferential option for the poor". Archbishop Óscar Romero, a supporter of the movement, became the region's most famous contemporary martyr in 1980, when he was murdered while saying mass by forces allied with the government. Both Pope John Paul II and Pope Benedict XVI (as Cardinal Ratzinger) denounced the movement. The Brazilian theologian Leonardo Boff was twice ordered to cease publishing and teaching. While Pope John Paul II was criticized for his severity in dealing with proponents of the movement, he maintained that the Church, in its efforts to champion the poor, should not do so by resorting to violence or partisan politics. The movement is still alive in Latin America today, though the Church now faces the challenge of Pentecostal revival in much of the region. ↑ Johansen, Bruce, The Native Peoples of North America, Rutgers University Press, New Brunswick, 2006, pp. 109, 110, quote: "In the Americas, the Catholic priest Bartolome de las Casas avidly encouraged enquiries into the Spanish conquest's many cruelties. Las Casas chronicled Spanish brutality against the Native peoples in excruciating detail." ↑ Chadwick, Owen, The Reformation, p. 190. ↑ Johansen, p. 110, quote: "In the Papal bull Sublimis deus (1537), Pope Paul III declared that Indians were to be regarded as fully human, and that their souls were as immortal as those of Europeans. This edict also outlawed slavery of Indians in any form ..."
↑ Federal Constitution of the United Mexican States (1824) Archived March 18, 2012, at the Wayback Machine., Article 3. ↑ "International Religious Freedom Report 2001" (PDF). US Department of State. 2001. Retrieved 2008-03-13. 1 2 "Liberation Theology". BBC. 2005. Retrieved 2008-06-02. ↑ Aguilar, Mario (2007). The History and Politics of Latin American Theology, Volume 1. London: SCM Press. p. 31. ISBN 978-0-334-04023-1. ↑ For more on Romero, by a former colleague, see Sobrino, Jon (1990). Archbishop Romero: Memories and Reflections. Maryknoll, NY: Orbis. ISBN 978-0-88344-667-6. ↑ Rohter, Larry (2007-05-07). "As Pope Heads to Brazil, a Rival Theology Persists". The New York Times. Retrieved 2008-02-21. Benedict's main involvement in dealing with liberation theology was while he was still Cardinal Ratzinger. ↑ Aguilar, Mario (2007). The History and Politics of Latin American Theology, Volume 1. London: SCM Press. p. 121. ISBN 978-0-334-04023-1. ↑ For Liberation theology's persistence, see Rohter, Larry (2007-05-07). "As Pope Heads to Brazil, a Rival Theology Persists". The New York Times. Retrieved 2008-06-02. For the threat from Pentecostalism, see Stoll, David (1990). Is Latin America turning Protestant? : The Politics of Evangelical Growth. Berkeley: University of California Press. ISBN 978-0-520-06499-7.